Have fun with your golf attire. Golfers have some outrageous options while on the course, at least to the modern eye. Between tucked-in pants (golf knickers) and plaid socks, there's a lot to be said for the staid golf shirt. But if you're spending time on the course, it's worth making a statement about the fun of the sport with your shirt, too. Find a shirt that represents you. Many golf shirts incorporate phrases or sayings that are a fun twist on golfing terms. For example, some shirts include quotes about playing foul balls, shanking the ball and setting low goals for your play as long as the weather is fine. Although these shirts are silly, be certain that the phrase can't be interpreted to be rude or uncouth. Most courses have strict rules about attire on the course, with a strict prohibition against foul language or phrases that may be inappropriate. As a general rule, if you think the quote or saying may be inappropriate, it's better to choose a different shirt. 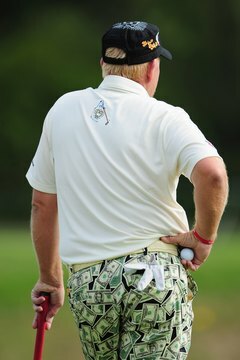 Golfers are embracing their ineptitude by wearing fun clothes. Golf Today highlights a group promoting the concept of "lofting." The goal of this group is to embrace their inability to play golf well and recognize that it's not due to a lack of talent but rather to the busy lives of the players. The group searched for fun shirts and ended up creating their own. Their abbreviation (L.O.F.T.) stands for golfers who have a "lack of freaking talent." Their shirts are low priced and accessible online and at many golf courses and pro shops. Personalize your shirt to match your game. 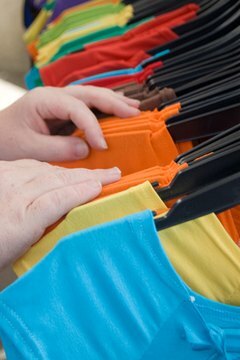 The Internet offers a plethora of personalization stores to create your uniquely defined fun golf shirt. 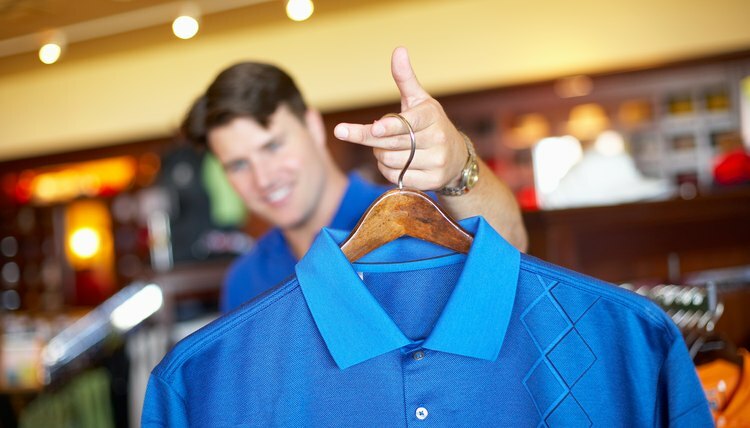 Whether it's a cartoon, a picture of your favorite golfer, a crazy pattern or simply a twist on a well-loved symbol, you can use one of the many Internet stores to design and order your own fun shirt. Remember, however, that most courses have a dress code. Besides requiring inoffensive attire, as mentioned above, most courses require that men wear collared shirts and women wear shirts that cover their shoulders. Keep your club's rules in mind when creating your own shirt to be certain you can wear it out on the links. Golf Today's Interview with L.O.F.T.